The website I'm going to send you to today is not specifically Islay focused and there's a lot more to be found on it, but for the purpose of this entry I'll focus on the Islay part. 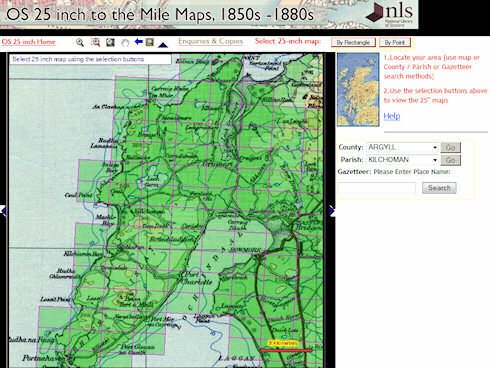 The National Library of Scotland (NLS) has created a site with the Ordnance Survey Maps - 25 inch 1st edition, Scotland, 1855-1882. It is ‘the earliest detailed mapping for all the inhabited regions of Scotland’, which includes large parts of Islay and some parts of Jura. 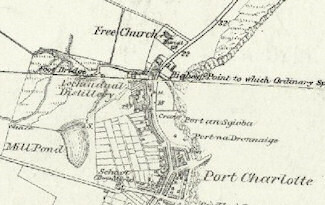 The reduced quality screenshot shows Port Charlotte with the long closed Lochindaal Distillery (to be put back on the map by Bruichladdich distillery as Port Charlotte Distillery). If you go to the area between Glenegedale and Knockangle Point you won't find any sign of Islay airport, just a wide open space. Looking at Laphroaig (zoom in all the way) only the core buildings are there, no sign of the newer warehouses 9, 10 and 11 at the main road. In Bowmore you'll find a ‘Combination Poorhouse’ where the Islay hospital is today. 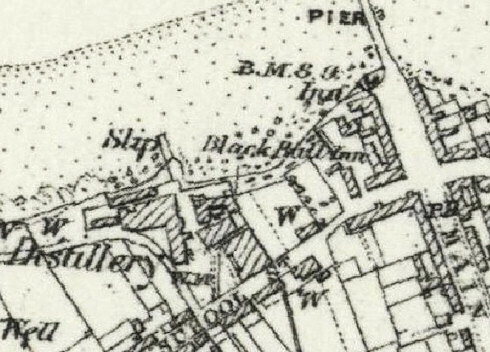 If I read it correctly there was also a ‘Black Bull Inn’ in Bowmore, roughly where the Mactaggart Leisure Centre is today. Anyone know anything about that? There's a lot more to discover on the zoomable map of Scotland, feel free to share your finds in the comments.